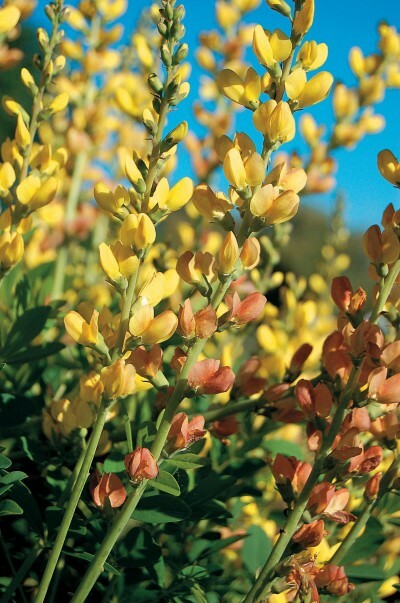 The tall spikes of pea-like flowers open bright lemon-yellow then blush to orange tones as they mature, standing like dense, broad bouquets above blue-green foliage. Extremely vigorous. A mature plant can produce over 100 stems. Good cut flower. Drought tolerant once established. Introduced by Chicagoland Grows®, Inc. Available in #1 containers. Our stock is always changing so please call for current availability.